While we’re thinking with heavy hearts about the late Mike Donnelly and the Muhlenberg football program, we also have attention to give to the full slate of Week 6 games, including one particular game taking place in Abilene, Texas. Yes, of course we’re talking about the ballyhooed McMurry-Belhaven game. No, wait, the other one. Our regular crew is Keith McMillan, Ryan Tipps, Pat Coleman, Adam Turer and Frank Rossi. Our sixth spot goes to a guest each week, and this week’s is Logan Hansen, who you may have seen on Twitter as @LogHanRatings. His computer ratings system ranks D-III teams and predicts outcomes of games. And this week there are some games. Which will be the Week 6 Game of the Week? Keith’s take: No. 1 UMHB at No. 5 HSU. Two top-five teams; I’ll be stunned if this isn’t unanimous. Ryan’s take: No. 1 UMHB at No. 5 HSU. It’s hard not to spotlight this matchup — rankings, history, ASC title hopes all come to a head here. Pat’s take: No. 10 Delaware Valley at Albright. If you need counterprogramming: People presume much greatness for Del Val and have been waiting on Albright. Adam’s take: Surprised this didn’t come with a caveat. A great slate of games highlighted by No. 1 vs. No. 5. I’ll go with No. 19 Wesley at No. 11 Frostburg State. Frank’s take: No. 1 UMHB at No. 5 HSU. I called it my “Game of the Year” in Kickoff, and with an interesting at-large scenario in Pools B & C, this game matters A LOT. Logan’s take: No. 16 W&J at Carnegie Mellon. Both are undefeated, and are front-runners in the PAC with CWRU & Westminster. UMHB/HSU is too obvious. Keith’s take: No. 23 UW-Stout. The rush to bury UW-Whitewater might have been premature. Ryan’s take: No. 16 Washington & Jefferson. Despite being 5-0, Carnegie Mellon isn’t on enough radars yet and has a chance to really make an impact. Pat’s take: No. 23 UW-Stout. After we (I) sounded the end of the UWW dynasty, now they finally have a home game and a chance to start salvaging the season. Adam’s take: No. 16 Washington & Jefferson. Again, I see a lot of great choices here. Frank’s take: No. 11 Frostburg State. No. 19 Wesley got a wake-up call when Del Val beat them, and Frostburg struggled against CNU (and even vs. Rowan a bit). Logan’s take: No. 23 UW-Stout. Despite their struggles, my model still thinks UW-Whitewater is a 13-point favorite at home (which might be a bit too high). Who will win the four games between ranked teams? 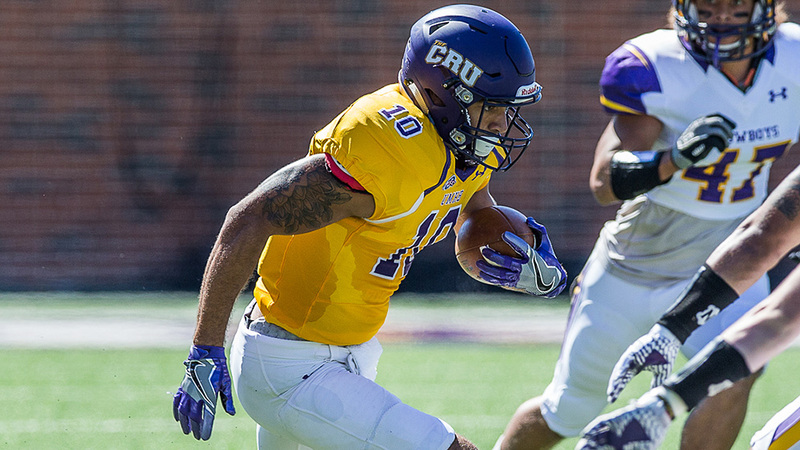 Keith’s take: Hardin-Simmons, Mount Union, St. Thomas, Frostburg State. Ryan’s take: Mary Hardin-Baylor, Mount Union, Concordia-Moorhead, Frostburg State. Pat’s take: UMHB, Mount Union, St. Thomas, Frostburg State. Adam’s take: UMHB, Mount Union, St. Thomas, Wesley. Frank’s take: UMHB, Mount Union, St. Thomas, Wesley. Logan’s take: UMHB, Mount Union, St. Thomas, Wesley. Pick an unranked team which will get its first loss this weekend. Keith’s take: Carnegie Mellon. 5-0 Tartans slightly better on D, but on O, W&J averages 532 ypg to C-M’s 370. Ryan’s take: SUNY-Maritime. There’s no doubt Husson has its sights set on a playoff bid this fall, and Maritime is an immediate threat. Pat’s take: SUNY-Maritime. This time I am picking the Privateers on a week in which they actually are scheduled to play. Adam’s take: Franklin & Marshall. I can’t see Johns Hopkins losing two Centennial games in a row. Frank’s take: Albright. The Lions have been living dangerously, and Del Val has bounced back from its Wilkes struggle. Logan’s take: Albright. They have four wins by four points or less, and Del Val is the best team on their entire schedule. Pick a team to win in a conference you’ve never seen play. Keith’s take: Olivet over Kalamazoo. Seen members of every current conference live but MIAA, and have been to both these campuses..
Ryan’s take: Hobart, over RPI. Both are coming off of tough losses and are looking for conference win No. 1. Pat’s take: MIT. (vs. Maine Maritime). I’ve seen members of the NEWMAC in their previous conferences, but haven’t seen them under the NEWMAC banner. Adam’s take: Lake Forest, over Knox. I’ve never seen an MWC game, but really enjoyed my conversations with both of these head coaches. Frank’s take: Claremont-Mudd-Scripps. (vs. Occidental in the SCIAC). I still think Oxy players deserve kudos for playing despite the odds they’re facing. But the Stags will pull this out. Logan’s take: Methodist over Greensboro (USAC). I didn’t realize how many games I’ve watched from random conferences until this question. Pick a member of the Mike Donnelly coaching tree whose team will win this weekend. 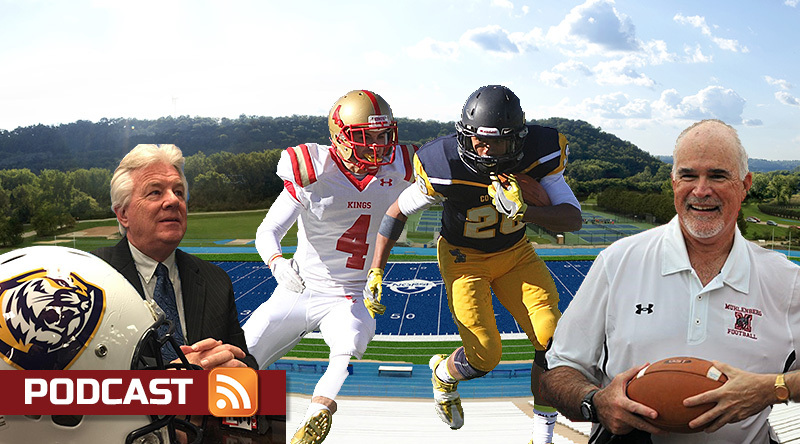 Keith’s take: Jeff Knarr at King’s (vs. Misericordia). 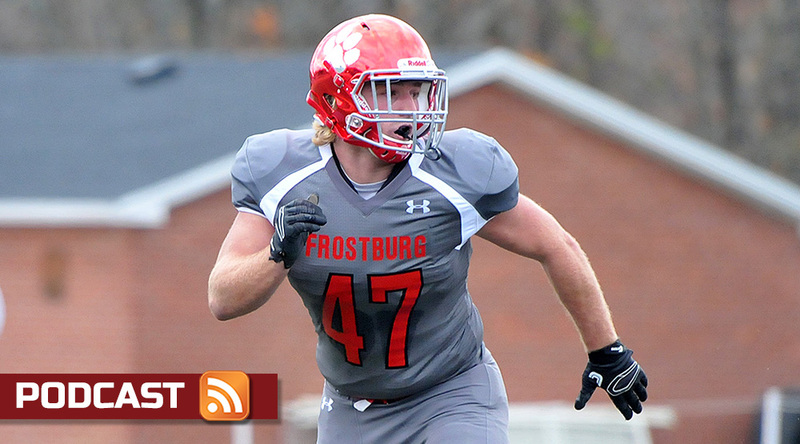 Bolder picks: John Troxell’s F&M over JHU, or Muhlenberg itself over Ursinus. Ryan’s take: Jeff Knarr of King’s. His 2-3 squad lines up against 1-4 Misericordia. Not so much a battle of giants as a battle for pride. Pat’s take: Tom Perkovich. I expect his Susquehanna River Hawks will be able to handle Moravian. 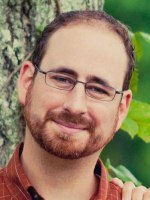 Adam’s take: Jeff Knarr’s of King’s. His squad picks up the win at Misericordia. Frank’s take: Dan Puckhaber of St. Lawrence (vs. Union). You were a class act on and off the field, Mike. Rest In Peace, and prayers to his family, friends, and players. Logan’s take: Tom Perkovich. Moravian’s ground game could keep it close, but their defense won’t stop Susquehanna’s O. Hey, we know, we didn’t have a May podcast. That’s totally because we planned to bring you an extra-long podcast in July. Yes, we have a podcast and a half for you because there’s way too much to talk about. Pat Coleman and Keith McMillan give their take on the D3football.com preseason Top 25, first off. Also, that blue turf just looks too cool, doesn’t it? Luther College is having that installed this offseason, so we talk with coach Aaron Hafner about that, the team’s option offense and more. King’s coach Jeff Knarr talks about his former boss, Mike Donnelly, who is struggling with leukemia, and Pat and Keith talk about efforts to find the bone marrow match. And East Texas Baptist coach Scott Highsmith talks about the expanded American Southwest Conference, his being the third ETBU coach in three years and more. The D3football.com Around the Nation Podcast is a regular conversation between Pat Coleman and Keith McMillan and guests covering the wide range of Division III football. It drops monthly in the offseason, and during the season, weekly on Monday morning.